Early results show Serbia backs a constitution re-affirming the country's claim on breakaway Kosovo. 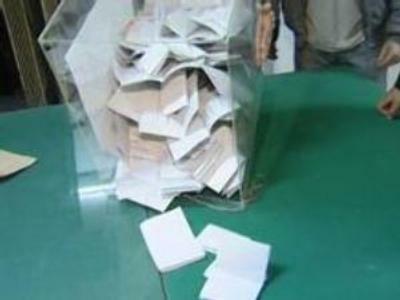 The voters have approved the country's first constitution of the post-Milosevic era, according to the preliminary results of the referendum. The constitution reaffirms the province of Kosovo as an integral part of Serbian territory. At the moment almost 99 per cent of the ballots have been counted. And 52.31 per cent of the total number of voters has supported the draft constitution. Serb leaders, almost all of whom backed the constitution draft, are pleased with the results of the referendum. Russia Today’s correspondent in Belgrade Dmitry Glukhovsky told us most Serbs consider the two-day referendum as a huge victory for the country. Tensions ran high in the evening of the poll’s last day, as for many Serbs much was at stake. Just hours before the polling stations had to close it looked almost improbable that the referendum would be valid. In almost two days of voting only 30 percent of the voters cast a ballot. Calls issued by Serb leaders to come and vote seemed to be all in vane. The streets of Belgrade were almost empty and there were no traces of electoral frenzy. A local news channel quoted Kosovar premier Agim Ceku as saying Kosovo Albanians would celebrate the failure of the Serb referendum with fireworks. Whether it was a stunt or the truth, it pushed many Serbs to come and vote. Kosovo was a very, if not the most important issue of the poll. Then just hours before the deadline voters started to pour into polling stations. Those who came late say they don’t even hope to change anything. But local citizens say that Kosovo won’t be Serbian anymore and they have actually lost it 15 years ago. In they consider that even referendum will do nothing. But in just 5 hours the turnout rate soared by some 20 percent. It became clear: Serbs had overcome their political indifference. The referendum is valid. Serb leaders, almost all of whom backed the constitution draft, declared their satisfaction. Serbia’s Prime minister, Vojislav Kostunica, said the poll outcome is a victory for his country. International observers say they’re generally content with how the vote went. Some Serb analysts point to referendum deficiencies, and say the poll won’t change Kosovo status. The final results of the poll have yet to be officially announced, but the main outcome is already clear. Serbia has a new constitution now. The failure of this poll would have meant for many Serbs and Albanians that the Serb people lack the will to stand up for Kosovo and hence lose its moral right to claim the province. But the approved constitution doesn’t mean Belgrade can keep Kosovo. Rather, it stresses once again that there’s no simple solution for this conflict in which none of the sides can give up.